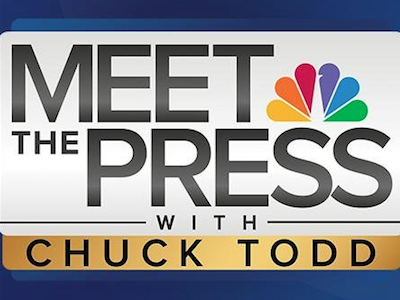 On Tuesday, “Meet the Press” moderator, Chuck Todd, responded to a report by progressive media watchdog group, Media Matters, that investigated diversity within the five major Sunday morning political talk-shows in 2014. The report found that among the five shows, guest lineups were “overwhelmingly dominated” by white men, however, one show stood out for its effort to curb this trend. 7% is also the measure by which the guest lineup for Todd’s “Meet the Press” is more statistically diverse than both CNN’s State of the Union and ABC’s This Week; while possessing an even larger discrepancy between it and Fox’s Fox News Sunday/CBS’ Face the Nation — at 10%. Diversity, however, does not stop at race, gender, or creed for Todd. He also stressed the importance of improving geographic diversity on the show. For more on the Media Matters report, click here.